Covered a Carleton University men’s basketball practice for the Globe+Mail prior to the start of the CIS championship in Toronto. 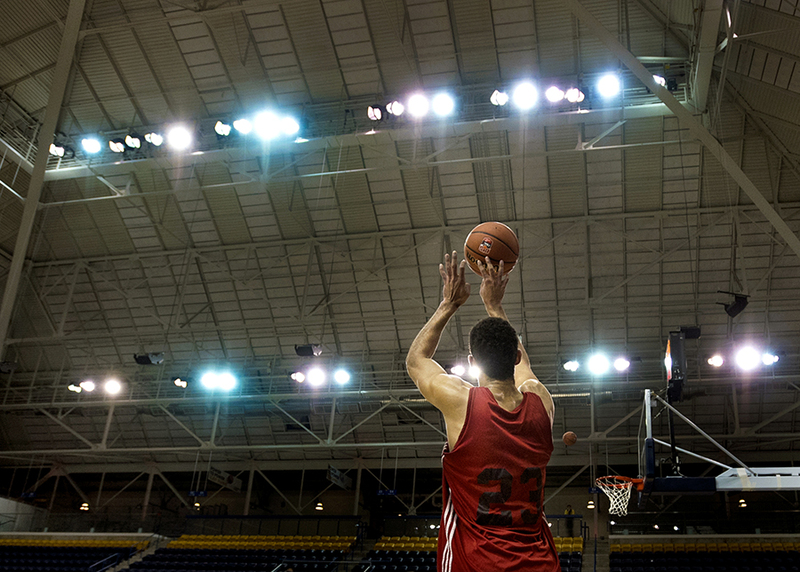 Carleton University Ravens’ Philip Scrubb takes a shot during a team practice prior to competition in the Canadian university men’s basketball championship at Ryerson University’s Mattamy Athletic Centre in Toronto. Two members of the Carleton University Ravens’ take part in an off-court drill during a team practice prior to competition in the Canadian university men’s basketball championship at Ryerson University’s Mattamy Athletic Centre in Toronto.